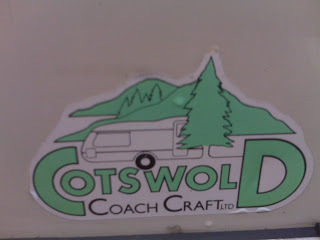 Have just found the following blog, following living in their caravan. The caravan water system has been putting a smell into the water, I have sterilized the system with Milton but the smell soon returns. I have had a good look over the pipe work and have hound a small particle filter on the inlet to the Sure Flow pump. 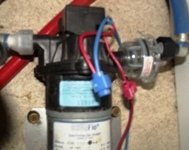 In previous vans I have had a carbon filter as well (Carver pump) but no inline carbon filters on this system. I have removed the particle filter and found small pieces of debris which has been sucked in over the years. 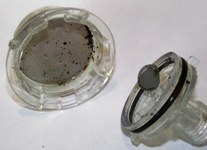 The filter separates easily into two parts so it can be cleaned. The filter has now been cleaned and sterilized and smells very clean, hopefully the smell will now go. Just been to Crackmore Farm near Sherbourne a Caravan Club Certified Location. We needed a quiet weekend away from distractions of phone and the internet. The site was nice and level with electric, Water and some where to tip the loo. A working Dairy Farm which was a hive of activity, the site is well maintained. There was plenty of space even when the 6th unit appeared on the site. The website for this site mentions a Farm shop but didn’t find it. Have just been getting the van ready, my major task is to make sure all systems work, the pipes are clean and the lights work. I always seem to have a problem with the "O" ring washer on the cascade 2 Water heater drain plug. The plug seems to seal with two rings just fine. I am starting to think that the drain plugs left by a previous owner are for a different version of heater. The flap moves freely on the Thetford toilet, and I have given the rubber a light spray of the rubber lubricant to make sure it does not stick. I have just had a bit of a clear out to get rid of the things that made their way into the van last season. I have a test socket which I can check all the Van lights with prior to connecting to the car. Just ned a dust and a hover now and we should be ready. The tyres look fine, new last year, but will need their presure to be checked. When I picked the van up from a previous owner prior to 90 mile journey home they looked fine until I removed them for a good look over. There were patches of rubber missing and they were down to the fabric. 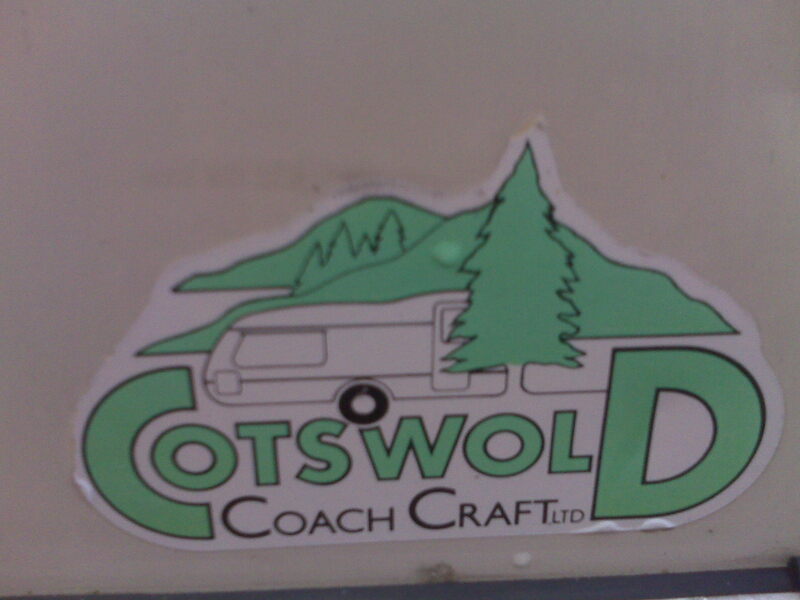 The Cotswold Wyndrush 132 is a 2 berth Model and is one of the last coach built Cotswold caravans. It has all the items you need in a top end caravan and is a delight to Tow, it has a plated weight of 1000kg max laden weight and 820kg unladened. 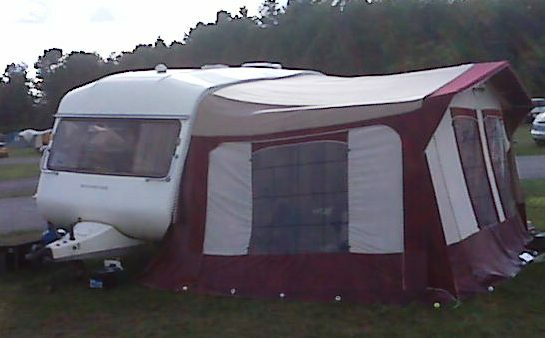 Inside it has fridge, cooker and oven, blow air heating, on board water pump, bathroom with shower and cassette toilet. I amazed by the features and the low weight, the bed makes up in to two good singles or a super kingsize. 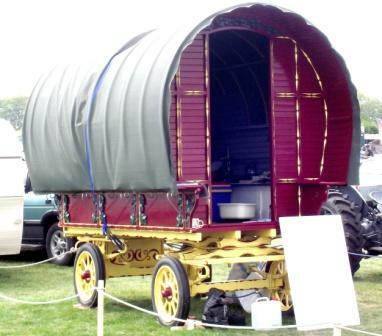 We were very fortunate to come across this caravan when we have the awning up there is so much space. The Radio needs to be mounted securely, I used an under dashboard mount which I fitted under a shelf at the front of the van. The speakers can be easily fitted using speakers with a case / pod or by making mounting holes to take the speakers in the caravan structure (cupboards are only made from light plywood easily cut with a craft knife). You need to find a switched live to deliver the 10amps or so for the radio and a permanent live for the memory circuits. I managed to take a switched live feed from a lighting circuit (check that the cabling etc is able to take the current (Amps) required. Most modern vans will have a power isolation switch on a panel which turns off 12v to the Van so the radio will be off when leaving the van. The memory live was take from next to the leisure battery via a small fuse (if the battery is disconnected you will loose the settings). I had the option of 2 or 4 speakers, current I am using just 2, but will in time add another 2 when I can decide where to fit. The hardest part of the installation for me was routing cables. I wanted the cables to be invisible by care fully routing thru cupboards and long the inside edge of shelves the cables can not be seen. The cables can be set in place with a glue gun rather than clips etc. The radio I fitted came with an ISO connector and adaptor to bare cables which made the job easier just needed a choc block to make good connections to speakers and power. Now my caravan has a better Radio and Music player than my car. I fitted the Wharfedale ICS182 Bluetooth In Car Radio, was at a good price and had loads of features, SD card, USB, AUX (handy for mp3 players) and CD player that appears to play most formats of CD. Remember use the correct size fuse and cable! !